Before having children, Phil and I used to enjoy going out together to the cinema, ten pin bowling or out for meals etc, but since Ruby was born we have really struggled to do anything together without the girls. I think there are a number of reasons as to why we don't go out that much; with Phil travelling around the country for work, and my busy schedule as a full time mum, there really isn't that much time for just the two of us. In addition, we spend every spare penny on the girls, so cant really afford many treats. I am also apprehensive about leaving the girls with other people. 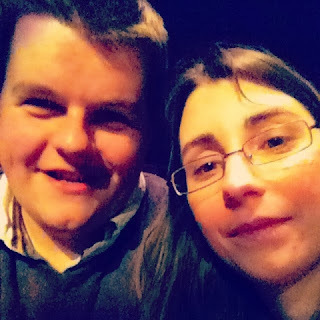 Last week, for the first time in five years, Hubbie and I went out for the evening. We had decided to go and see Chicago at our local theatre. Chicago is a brilliant musical set in 1920's America and follows the lives of two women who find themselves gaining fame and notoriety after being convicted of murdering their husbands. It is jam packed with superb songs, energetic dancing and loads of interesting costumes. Basically... its about Adultery, Corruption and Murder! My sister came over to babysit the girls and by all accounts had fun playing and chatting with Ruby (when she should have been in bed); the girls were well behaved and I had nothing to worry about. We had a fab time at the theatre and it was lovely to spend an evening together with out the children for a change, we will definitely be doing it again. We have decided to try and make more of an effort to go out together and enjoy each other's company, we're hoping to go to the theatre again in a couple of months time. Do you struggle to find the time to spend time as a couple when you become a parent? What do you enjoy doing as a couple? Aww! How lovely! Sounds like you had a wonderful evening!